I would love to see photos of your displays if you want to share them with me on Instagram or FaceBook . I love seeing what you've done with them! 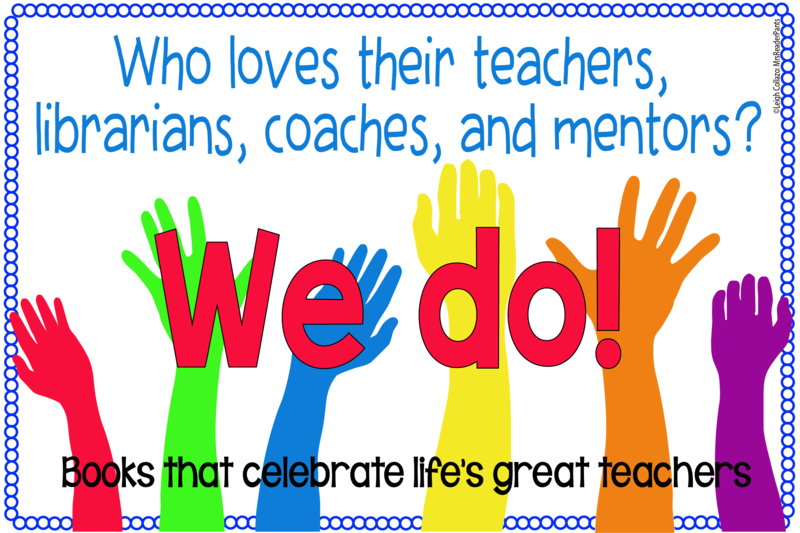 Teacher Appreciation Week is the first week in May. Celebrate with a display of books featuring strong teachers, coaches, and mentors! 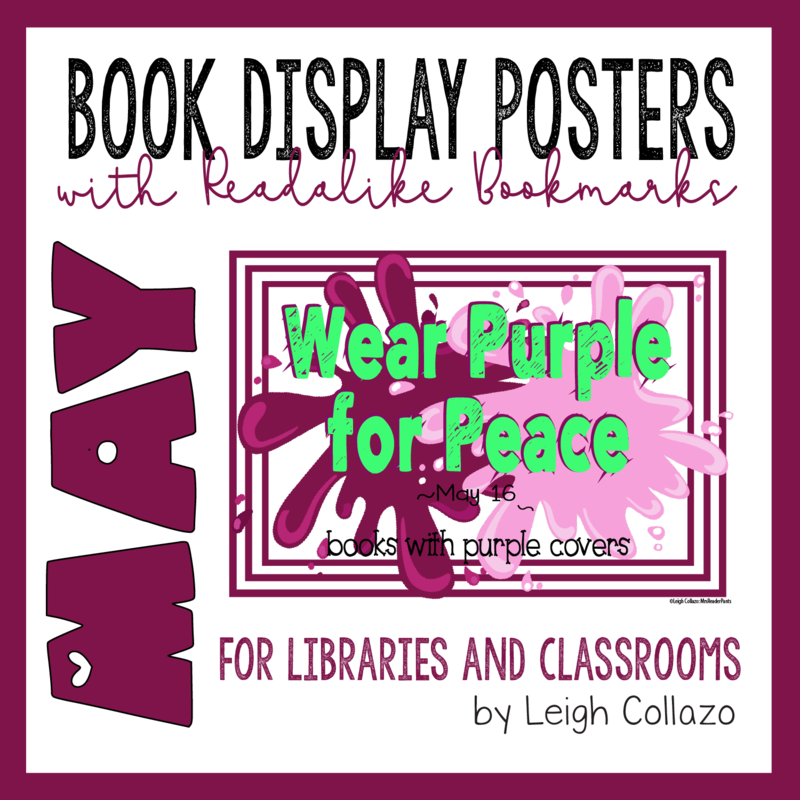 Can't think of many books for the display? 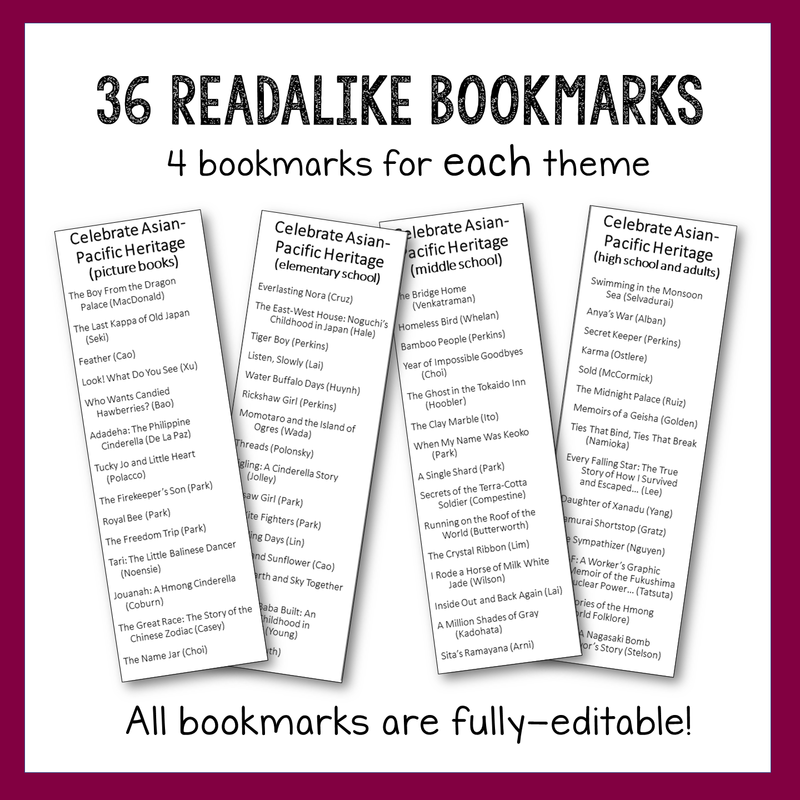 See the read-alike bookmarks included in the set! Each theme includes four read-alike bookmarks (keep reading for more information about the bookmarks). 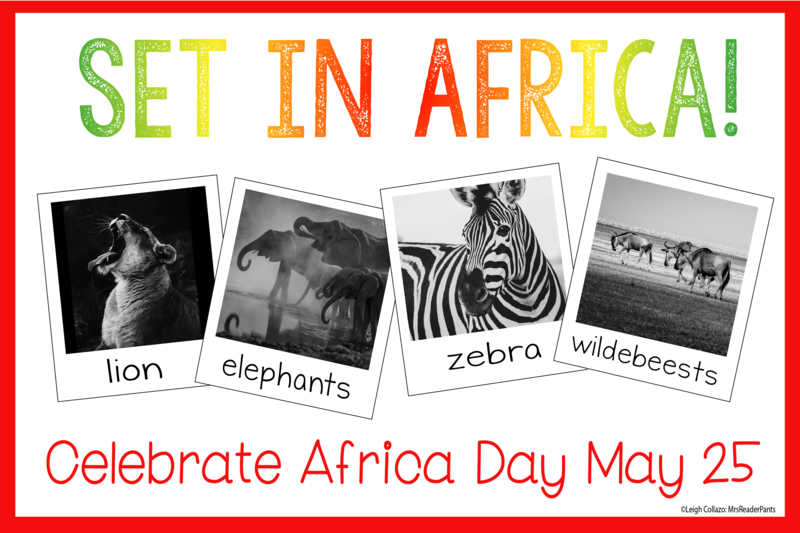 Did you know Africa Day is May 25? Africa Day is an annual celebration of the formation of what is now the African Union on May 25, 1963. 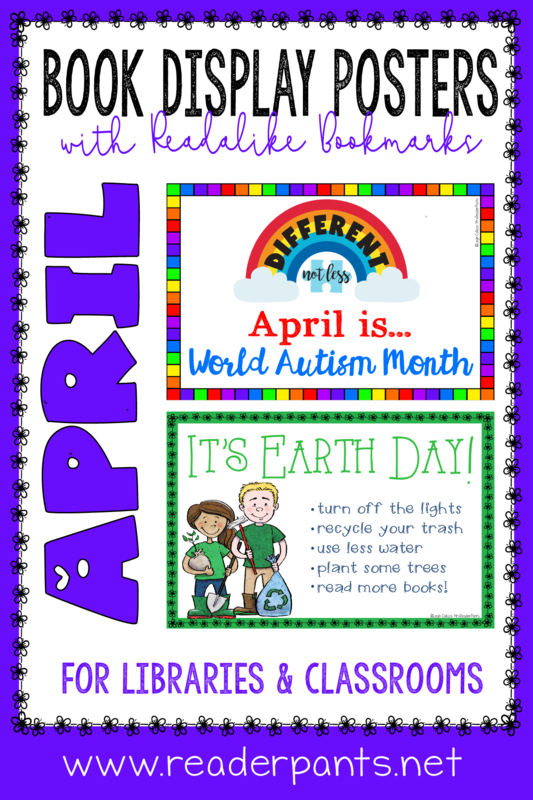 It's a pretty cool story, and I encourage you to share the day with your students on May 25. Here is a link to a 2017 story from ABC News about Africa Day. *Themes with a star include two posters. This image shows the Poetry bookmarks included in this set. The titles on the poetry bookmarks are collected poetry or poems in picture book format. They do not include novels in verse. WHEN WILL THE JUNE POSTERS BE READY? I am already hard at work on the June posters, so you'll want to stay tuned for when I post them. My goal for posting the monthly poster sets is the first Thursday of each new month, and the monthly posters will continue to be a free product for the first two days they are posted. This will continue through September, when I will have completed the entire 12-month set. After the set is complete, I plan to upgrade and revise the sets annually to add new themes and keep the readalike bookmarks current.